I’ve been away from my blog, I know, shame on me. This summer, I had a full time job working for a silkscreen heat transfer place, and then I realized I want to go back to school, yada yada yada, so here I am. You’re all caught up, wonderful. So here’s a story about what happened to me yesterday, and it shows how small the world really is. Preface : I am currently back at school, taking some college science courses. 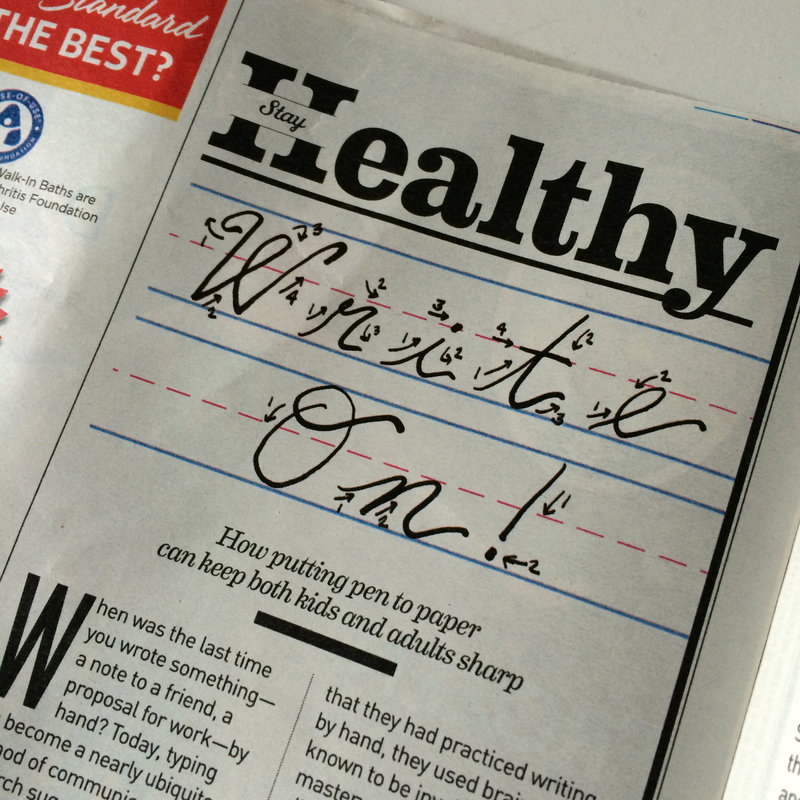 OK : So about a three weeks ago, before I started school, I was asked by Parade Magazine to illustrate a header for an article about the slow death curseive writing and how writing may help us comprehend information better. Then : The article came out last week. I was surprised on how big it was printed. AND THEN : She said, “Remember how the first day I was talking about the importance of penmanship and legibility on the essay questions of the test? And how I don’t like the use of laptops in lecture? 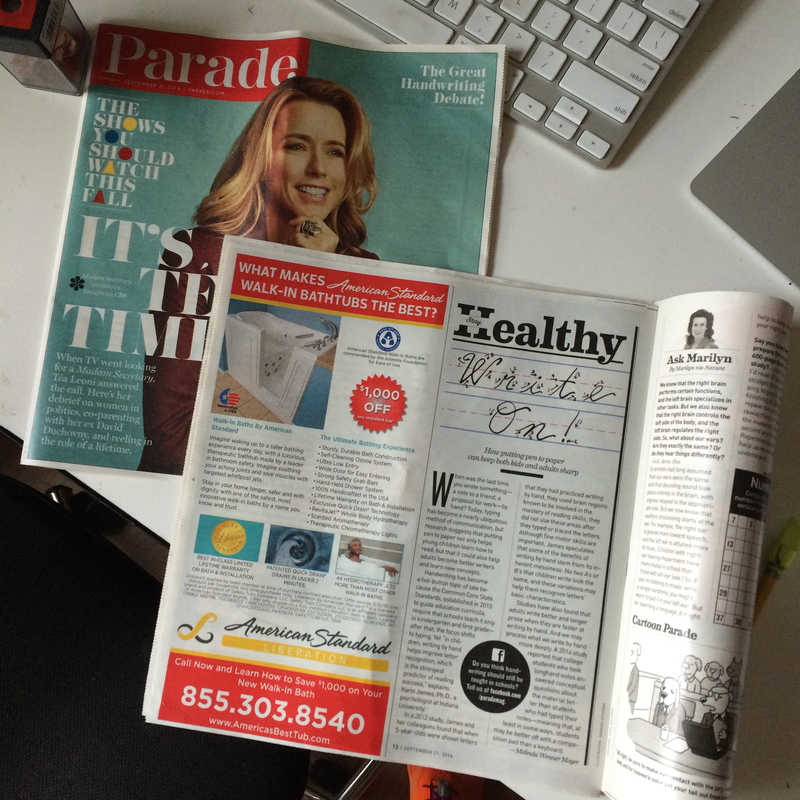 ” I said, “Yes….” Then she proceeded to show me a article she ripped out of Parade Magazine, MY ARTICLE. She had no idea that it was my illustration. I shouted, “THATS ME!”. I mean, what are the chances? She had no idea that I was an illustrator, or in her class, or that I was coming for extra help. 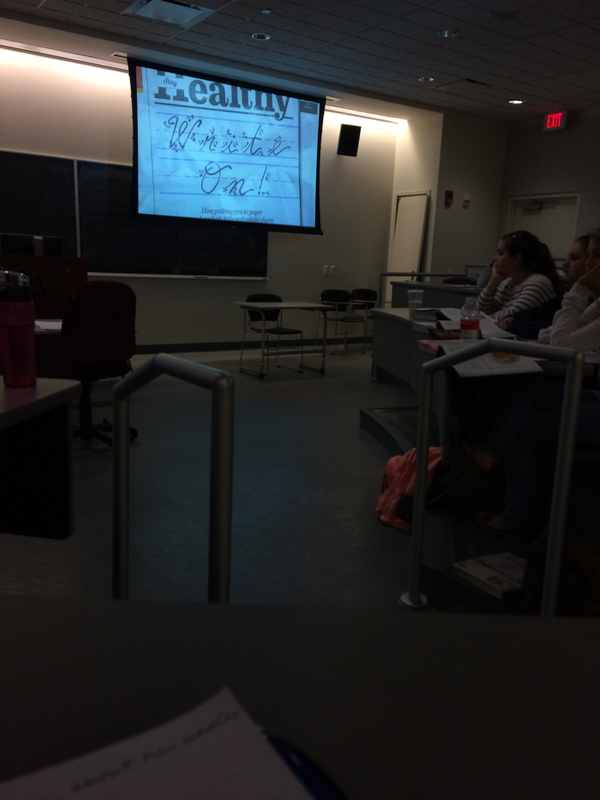 She showed the whole class in the lecture hall, and I turned a lovely shade of crimson. It was such a collide of my two worlds, I had to share it.